See email below sent out to all parents registered at the Hebrew-immersion Shalom Academy Charter School. The big mystery is over. SACS is out of the closet and in the Grace Redemer Church near Ma'ayanot in Teaneck. They are petitioning the Teaneck Board of Adjustment for a Certificate of Educational use. Good luck to them! If they can actually pull this off & open next year I will have to admit being completely wrong. Still it would be nice if they would discuss who the principal is, what the curriculum will be, etc. considering they are planning on opening in less than 3 months. Shalom Academy had its preparedness visit with the New Jersey State Department of Education on Friday. The school met all of the preparedness requirements (critical policies, SOPs, Purchase Orders etc.) except for one area: the facility certificates. The County and State have toured and approved the planned facility. 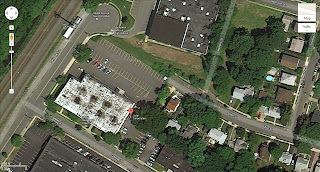 In order to proceed, the Teaneck Board of Adjustment needs to grant the facility a certificate of educational use. The school application is coming up shortly in front of the Board. There is opposition to the application and Shalom Academy needs your support. PLEASE COME TO THE PROPOSED FACILITY at 125 GALWAY, 2ND FLOOR IN TEANECK, Wednesday, June 13 from 3-4 pm for a letter writing campaign in order to help us with gaining this use. This is a closed meeting for our parents only. This is the only thing standing in our way for final charter approval.